My PhD project focused on the study of local adaptation in the Alpine plant Arabis alpina. We were aiming at uncovering local adaptation signals in wild populations along an altitudinal gradient and uncovering the genetic architecture of the phenotypic traits involved. Genome scan methods aim at detecting loci under selection by contrasting individual genotypes or allele frequencies from different populations or environmental conditions. We simulated data from complex scenarios in order to compare the performance of many existing methods. The results have been published in Molecular Ecology. We developped a new Fst-based genome scan method to detect local adaptation based on the association between genetic differentiation and mesures of environmental « differentiation ». This method is an extension of the popular Bayescan software (both for the model and the code). NEW: This new method is now available on GitHub. 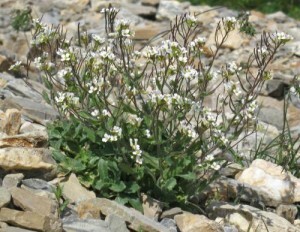 An individual-based survey was performed each year (from 2008 to 2014) in 6 populations of Arabis alpina around Grenoble (Vercors moutain range and Lautaret moutain pass). New recruits and mortality were recorded, as well as some phenotypic traits such as number of vegetative and reproductive stems. 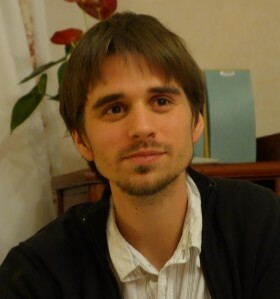 This survey was started in 2008 by Marco Andrello. The results of this survey are available as a pre-print on bioRxiv. In order to study phenotypic differenciation between populations, and genetic variability within populations, we started a common garden experiment. We set up two common gardens, one in Vercors at 1100m, and another at the Lautaret alpine station at 2100m, containing 300 and 500 plants respectively. We recorded morphological phenotypic traits, as well reproductive ones (phenology, fecundity, survival). We genotyped plants of the common garden in Lautaret using a RADseq protocol. The dense marker data have been used to calibrate a neutral migration/drift scenario to test for local adaptation in the recorded phenotypic traits, as well as with our genome scan method (and other methods) to detect gene under selection.